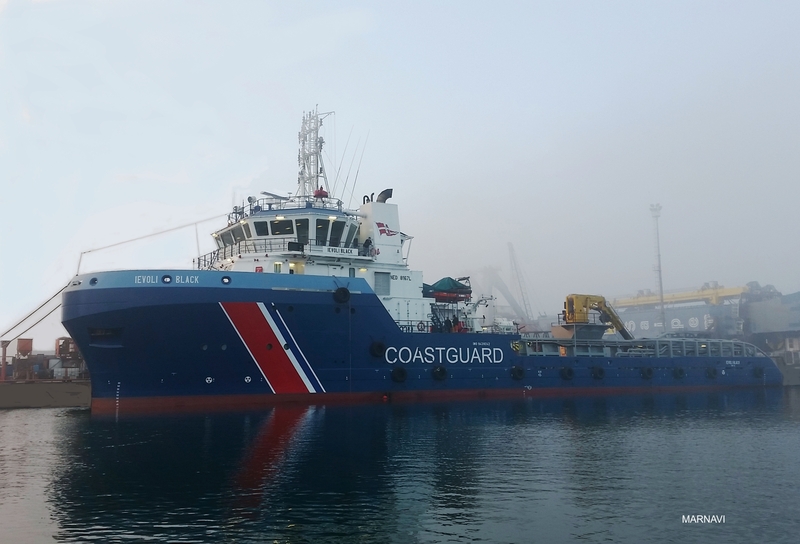 ABERDEEN, Scotland (Dec. 20 2016) - The UK’s Maritime & Coastguard Agency (MCA) has signed an agreement with Ardent for emergency towage off the north and north-western coasts of Scotland. The Marnavi-owned 139 Tonne Bollard Pull, Ievoli Black Anchor Handling Tug Supply Vessel is due to arrive on station at Kirkwall in the Orkney Islands by 31 Dec 16, where it will relieve the current ETV Herakles. The Ievoli Black is capable of firefighting operations, anchor handling, towing, research and underwater services. Ardent previously contracted the vessel to serve under the Dutch Coastguard as ETV from 2010 to 2013. Ardent has a long-standing relationship with the MCA. In January 2015, Ardent staff refloated the grounded Hoegh Osaka in Southampton, a major salvage case handled by the MCA. “We are proud to lead the maritime and offshore services market as an emergency preparedness and response partner,” said Oliver Timofei, Ardent Director of Emergency Management. “The MCA is seen as a standard bearer of governmental maritime safety agencies and we are excited to work together once again,” said Timofei. Ardent currently provides emergency towage, salvage support or consultation to eight governmental agencies worldwide. In the past, Ardent provided Emergency Towage Training as part of similar agreements with governmental maritime agencies. “The award of this contract caps a 2016 where Ardent has seen significant positive development, including successful completion of the merger, a strong HSEQ and operational track record”. said Peter Pietka, Ardent CEO.